This 2001 Hudson pair/double is one of our favorite refurbs. A couple in Texas asked for a refurbished pair. 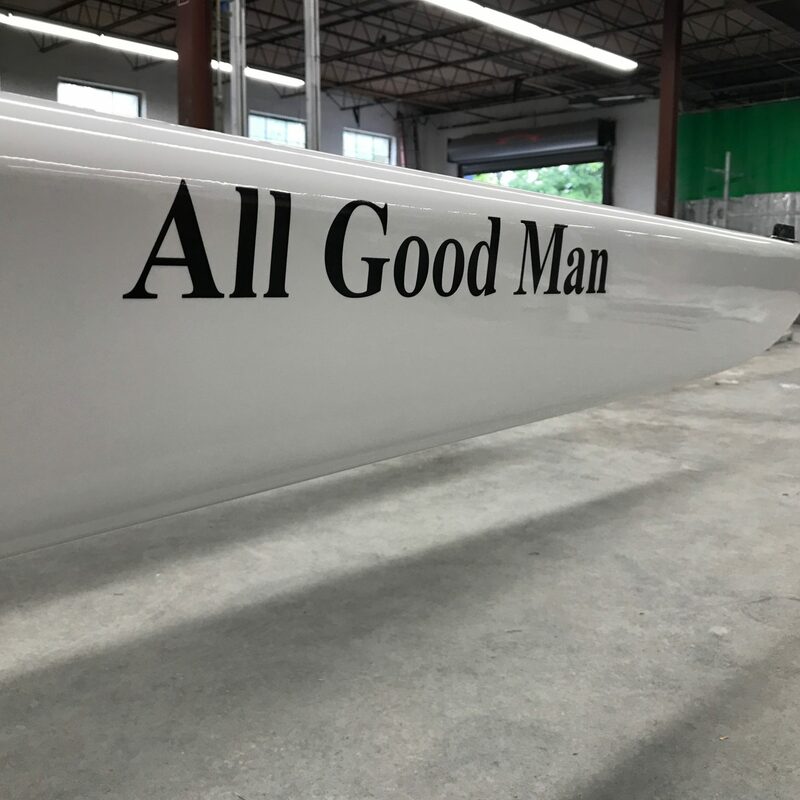 We bought the boat from University of Texas. What was once an ugly faded burnt orange double – is now a beautiful all white Hudson double for a retired couple to enjoy. 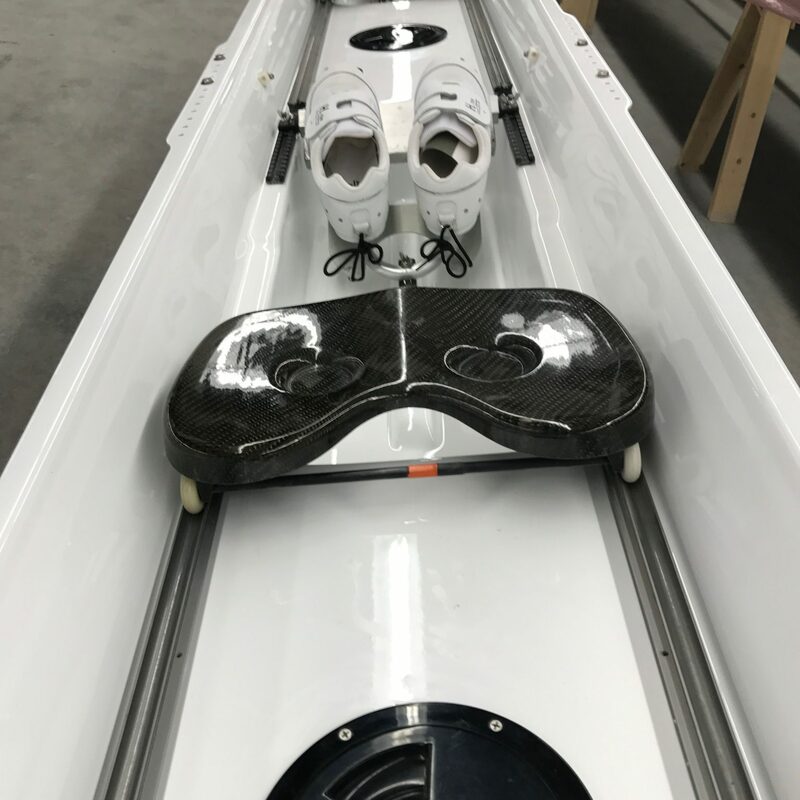 We stripped the boat down to original carbon and spent upwards of 25 hours working on the body work. We cleaned up the tracks and replaced the shoes with H2Row shoes. The whole process including dry times, just took 10 days!